There is no right way or best way to give birth, but if you're pregnant, you're likely already hearing advice and stories about what you should do, how you should feel, and what you should want from your birth experience. Your Birth Plan is an intervention: it's a birth book that equally honors all paths and all pregnant people, guiding and empowering you to make informed decisions, without judgment or prescription, for your own positive birth experience. Long on information, short on opinions, Your Birth Plan is a how-to guide filled with practical descriptions, insights, stories and tips to make it easier for you to pick where, with whom, and in what way you would like to give birth. Your Birth Plan is comprehensive and free from judgment and prescriptions. It offers unbiased information about all birthing options, including birthing in a hospital, at home, or in a birthing center; having an epidural or an unmedicated birth; induction of labor; vaginal or Cesarean birth; and more. 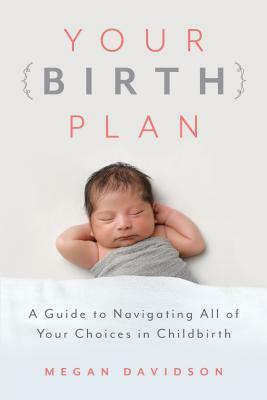 This is a new, inspiring, inclusive, and much-needed guide to help you plan for a birth where you are empowered to make your own choices and to have your needs met, whatever they are. Megan Davidson, PhD, is a labor and postpartum doula, childbirth educator, and chest/breastfeeding counselor who supports pregnant people and their families without judgment or prescription. She is one of the most experienced doulas in the US, having attended 600 births and supported 1200 families postpartum. Megan has also published essays on the value of doula support, size bias in prenatal care, and body positive pregnancy. She lives and works in Clinton Hill, Brooklyn, NY with her husband and two kids.